The Blues are reported to have told the 18-year-old he will not be sold in the summer, despite the fact he handed in a transfer request in the January transfer window. With Chelsea facing the prospect of not being able to sign any players in the next two transfer windows, the exit door at Stamford Bridge is closed for now. Even if the transfer ban is lifted, Chelsea are still refusing to sell and hope to convince the young forward to pen a new deal. 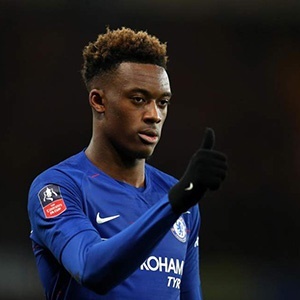 That looks unlikely with Hudson-Odoi willing to run down his contract at the club rather than pen a new one. Interest is hotting up, with Manchester United now said to have joined Bayern Munich, Barcelona and Borussia Dortmund in the race to complete a deal. Hudson-Odoi's stock has risen even further following his impressive performances for England over the last week and he seems determined to push for a move away.